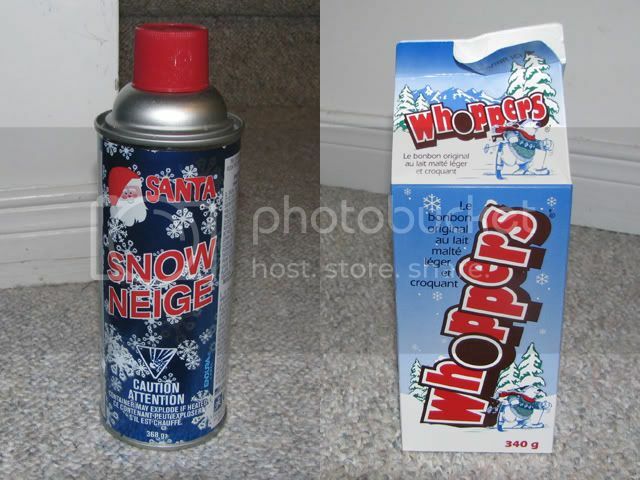 What do Whoppers (maltese balls) and spray snow have in common? It sounds like an awkward combination, malted milk chocolate coated balls and spray snow have 2 ingredients in common! So the thought occurs to me, while they tried to develop the science and technology within the Avatar universe accurately and within the laws of physics with some artistic license, they made one mistake that I have to pick on. Now in the film, all you have to do to survive in the native environment is wear a mask that [I suppose] filters out the ammonia, methane, excess CO2, and other trace toxins. Practically though, you have other mucous membranes that are exposed (read: down there). If you have a mucous membrane exposed to an atmosphere with a partial pressure of NH3 and HCN, some of those substances will have to dissolve into the water on that mucous membrane. Last I checked, even a little bit of ammonia can irritate the heck out of you, and HCN can kill. What happens if you sweat? Water droplets begin to absorb NH3 and all of a sudden you are covered in 1M ammonia with a mix of HCN? What about the other parts down there? While its plausible that you could survive for a short time using only an oxygen mask or pack to filter out only the toxins (since its been established that a partial pressure of oxygen is present, just the other toxins make it impossible to live), prolonged exposure as shown in the movie during various outings or combat scenes just don’t make sense. Metals corrode under exposure to things like ammonia, (copper and brass turn bright blue thanks to the copper-ammonia complex formed for instance), and living tissues that are even the slightest bit moist will be exposed to the ammonia. While I enjoyed the movie, the CG and 3D were wonderful, and they made many people happy – as a chemist, the fact just sticks out at me, and while in the movie it was never really stated that the atmosphere contains NH3/HCN, it was stated that its only bad to breathe the stuff in, whereas its perfectly fine to have a oxygen source and go bathing in it. Heck, rivers and streams would be partially NH3 and HCN containing, I would certainly not like to get caught in the rain there. So as a quick followup to the acetylsalicylic acid extraction video, I’ve managed to make Adobe Premiere work, and crank out this video. Don’t worry though, I will still demonstrate methylsalicylate though. So I finally produced a instructional chemistry video, after much fighting with Adobe Premiere.